I hope you’ve all been having an exciting December so far, full of morning Advent Calendar treats (I’ve picked up a Ciate calendar, being a typical nail varnish addict) and lots of present shopping. Aside from all the treats, it really is time to put on those winter favourites to keep the heat in and feel as fluffy as a bear. That being said, you can’t help but sometimes throw on a less-than-appropriate-for-8-degrees outfit, especially for a quick over to HomeSense for more decorations than you already need – amiright? I’ve had this skirt for two years now, and it’s a really lovely piece to whack out for milder cold days. Now that I’ve found the pieces to style it properly – cropped jumpers or a clinched waist like here – it’s a really easy skirt to throw on for different occasions. Olive always has really lovely styled pieces – check out their Instagram – and one of their jumpers lasted me the whole of my final year of Sixth Form, including all those messy art days. This Maison Jules top was a little splurge in San Francisco last year, and they’d only just bought the brand into Macy’s that day so I felt a little bit special buying one of their first pieces – their trousers are also some of the comfiest I’ve ever owned. 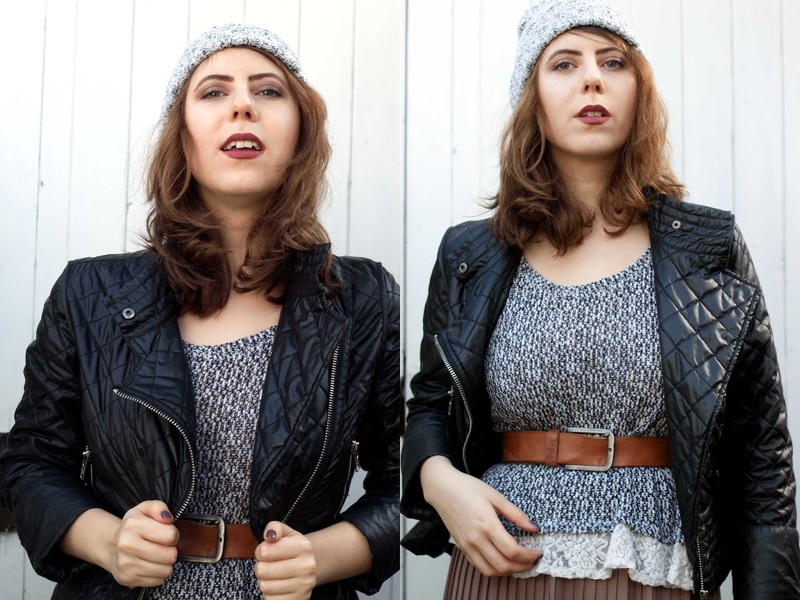 There’s no point in denying I’ve had a real brown moment since Autumn began, and this outfit is the perfect ‘goodbye’ to the season whilst introducing some winter warmers; knitted tops, beanies, layers and lots of thick tights are an absolute must in the UK when it strikes December on the calendar. Have you bought from Maison Jules? Are you a fan of the brown based make-up this year? What clothes do you love at Christmas?